Being “Healthy” isn’t about learning tricks that are going to make you lose 10 pounds in 10 days. Being healthy is a lifestyle that takes lots of knowledge and self-control. Now there are tips that will get you started on the right path and those that you should certainly learn how to obtain, but what and how you use those tips will determine the outcome of weight loss and appearance, both internal and externally. There really is no “quick and easy” way to be healthy. There just isn’t. If you are sitting here thinking that I am going to inform you of all these 1 day super cleanses and magic diet pills, then you mind as well turn the page. Again, health is not a diet fad, it is a lifestyle change that you must always maintain and care for. If you follow these tips, you will know how to manage your body and set it up for success. Tip # 1: Eat Breakfast everyday. Breakfast, like you learned in middle school, is the MOST important meal of the day. It starts your day with fuel and energy. Your body has to have good fuel for it to burn calories throughout the day. 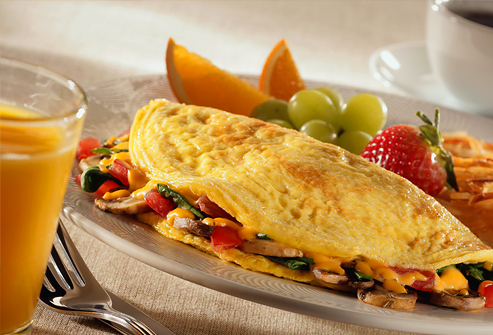 Eating a big breakfast is not a bad thing as long as you eat the right foods. 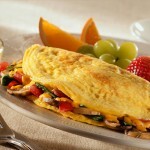 Eggs, egg whites, wheat toast, fruit, oats, and low fat milk are all great things to have first thing in the morning. Tip #2: Eat small meals throughout the day. This does not mean to eat the entire bag of skittles you have lying around your office. Everything is OK in proportion. Don’t deprive yourself to where you want to eat that entire bag of skittles. Moderation is KEY! A good plan is to plan out your snacks at home during the week so that you will have proportioned and ready to go snacks each day. 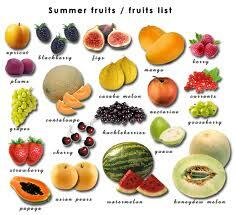 Fresh and colorful fruit is a great way to keep you full and it’s delicious. Nuts area good choice but stay away from salted versions. Salads, berries, and yogurt are all great choices to pack. Eat at least 5 times a day and it will keep your metabolism chugging along. The rule of them I like to do is breakfast, mid lunch snack, lunch, mid-day snack, and then dinner. Keeping yourself full may be a challenge at first, but I promise you, your body will love you for it and will keep you energized. Tip #3: PROTEIN is essential to the health of your body. Protein is such an important part of your healthy lifestyle. 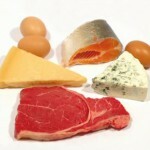 Protein builds, maintains and strengthens the tissues in your body. 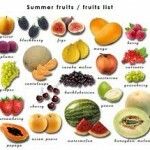 It strengthens your muscles and your immune system to help keep your body strong. When you lose weight, you don’t want to lose the muscle that you have accumulated. Protein helps keep and grow that muscle tissue so that you can lose the unwanted fat that you have. 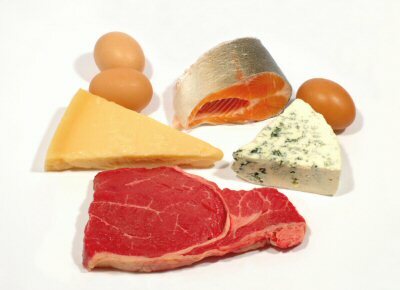 The best sources of protein are lean meats, Fish, chicken, pork, eggs, dairy, and beans. Tip # 4: Mama always said finish your vegetables! Hearing the word vegetable as a kid was that word that made you want to fake an illness to get out of eating them. Well for good reason, mama was right! Veggies are such a great source of fuel for your body. 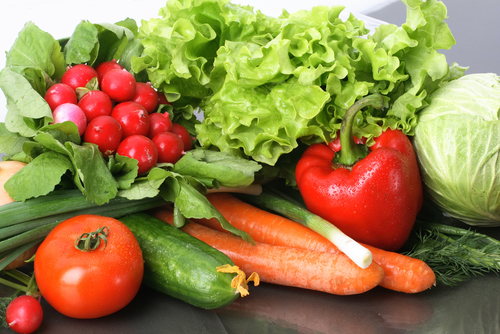 Every bright color in the veggie group has its own source of nutrients and goodness for you. Vegetables are great sources of many vitamins, minerals and other natural substances that may help protect you from diseases and illnesses. Some good sources to go by when shopping is green spinach, sweet potatoes, black beans, yellow corn, plums, onions, green beans, carrots, red and green peppers, and squash. 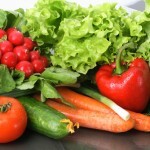 The wonderful thing about vegetables is that you can eat AS MUCH as you want to!! You can eat them raw, you can eat them with salads, saute them, (my absolute favorite way,) steam them or bake them! The possibilities are endless when it comes to incorporating veggies into your daily regimen. Eating healthy foods is the best way to keep your body in tip top shape and feeling great about yourself, but there are two parts to this equation. Exercising as part of your lifestyle is a must. It does so much more for your body then just framing and strengthening your exterior. It also strengthens your body from the inside to help you live a longer life. As Elle Woods always said; Exercises gives you endorphins.. and endorphins make you happy. Exercise boosts your metabolism, strengthens your bones, and increases your mood! Physical activity stimulates various chemicals in your brain that leaves you feeling happier and more relaxed. Working out at least 30 minutes a day, 3-4 times a week will keep your body happy, keep your mood happy, and help give you confidence that we all want in ourselves.